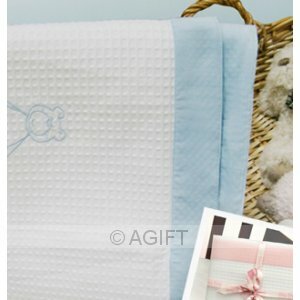 Inside a gorgeous gift box finished with a satin ribbon, comes a large white cot size cotton waffle blanket with (pink, blue or white trim with same colour embroidered teddy bear). It's a practical gift every new Mum would ask for - and it's sooo cute! 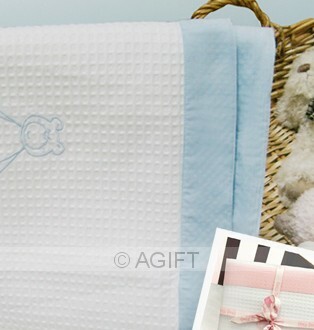 Ideal baby shower gift or baby's welcome arrival in hospital or at home.